Get compliance insights straight from your peers. 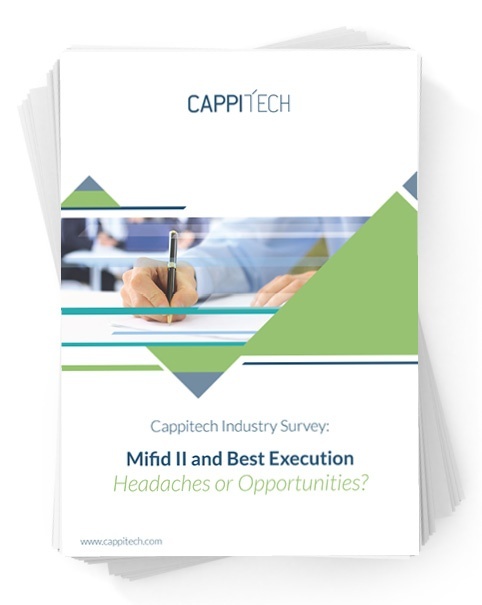 Cappitech conducted an industry survey to assess the extent to which financial services organizations have been affected by the new MiFID II Directive and also to gauge whether some firms might be viewing the ‘new normal’ as an opportunity for growth. The survey report provides the full survey results and offers some interesting insights on the future of regulation. Download the survey and compare your compliance practices to your peers.